The Cottage in Glynarthen, Nr Cardigan sleeps 2 people. 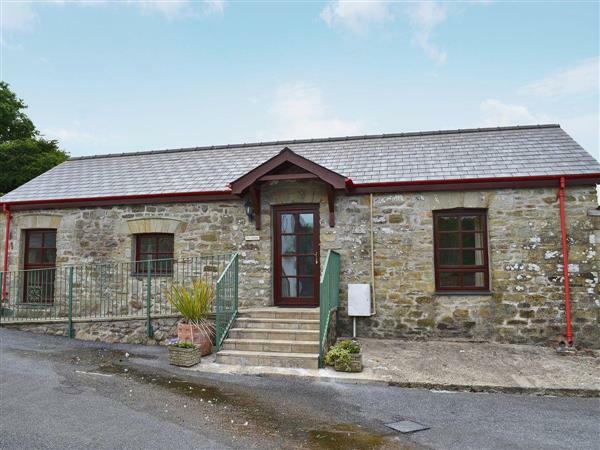 Situated just 5 minutes from Cardigan Bay and within easy reach ot the whole of the beautiful Ceredigion and Pembrokeshire coastline and coastal walks, these three converted stone holiday cottages (refs OSB [The Stables], OSC [The Granary ] and OSD) are peacefully set on a farm with a selection of alpacas, donkeys, llamas, goats, ducks and chickens. The owners who live on the farm, which is set in 57 acres of rolling countryside, encourage the children to interact with the animals, and are also pleased to offer the use of a barbecue hut nicknamed the ‘Hobbit House’ by the family. Guests can hire it during their stay directly with the owners, subject to availability and for a small charge. The owner can also supply their own barbecue meat packs on request (charge payable). Within a 15-minute drive visitors can discover quaint New Quay, famous for the bottlenose dolphins that can often be seen from the harbour (boat trips available in season). The colourful, Georgian, harbour town of Aberaeron is just a bit further up the coast road, with its chic shops and plenty of restaurants. Antique shoppers and browsers will enjoy the nearby market town of Newcastle Emlyn, and Cenarth with its waterfalls is also close by and offers indoor swimming, coracle rides, fishing and paintballing. There are numerous attractions in the area, particularly suitable for children. Nearby is the Cardigan Island Coastal Farm Park, which is set on a headland overlooking the nature reserve of Cardigan Island, home to thousands of sea birds. At the foot of the cliffs, a colony of Atlantic grey seals can be observed in their natural habitat. Spectacular coastline and wonderful views can be savoured from the National Trust-managed Penbryn Bay and a visit to National Trust Cilgerran Castle can also be enjoyed. Only the ruins remain of this striking 13th-century castle, whose vantage point overlooks the wonderful Teifi Gorge. Also nearby is the town of Cardigan with its restored medieval castle. The Teifi Valley Railway is another experience for the visitor, a 2 mile journey offers wonderful views of the valley and countryside. Golf and horse riding can also be found locally. Shops 1 mile. Ramp and four steps to entrance. Open-plan living/dining-room/kitchen with views over farmland, rugs on ceramic tiled floors and doors to garden. Double bedroom with Velux window. Bathroom/W.C. with over-bath shower. The Cottage is in Dyfed; should you be on the lookout for a special offer, you can find all the special offers in Dyfed. It's always worth checking to see what is on offer at the moment. Do you want to holiday near The Cottage (OSD), you can see other cottages within 25 miles of The Cottage; have a look to find your perfect holiday location.